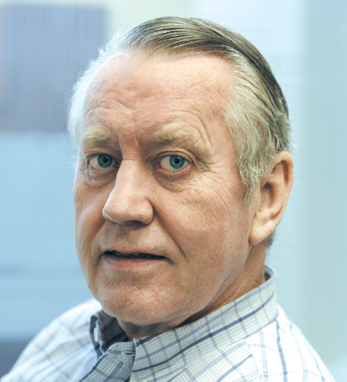 Chuck Feeney was never one for the limelight, but his selfless actions over the years have propelled him into it whether he liked it or not. In 1996, it emerged that he had donated over $600 million, a huge portion of his personal wealth, to create Atlantic Foundation, the fourth-largest philanthropic organization in the U.S. The co-founder of Duty Free Shops, Feeney, a New Jersey native, was identified as the donor only after the sale of the chain of stores. Innumerable charities and organizations have benefited from this donation, three Irish universities among them – Trinity College Dublin, Dublin City University, and the University of Limerick. Feeney holds dual citizenship in Ireland and the United States and has always gone to bat on all things Irish, from lending his considerable support in bringing American involvement to bear on the Irish peace process to supporting efforts to help illegal Irish immigrants. Born in 1931, Feeney was raised in a working class section of Elizabeth, NJ during the Great Depression. His father, the son of an emigrant from Co. Fermanagh, Ireland, was an insurance underwriter and his mother was a nurse. In 1948, at age 17, Chuck enlisted in the United States Air Force, serving for four years in postwar Japan and Korea. After his military service, Feeney received a GI scholarship and enrolled at Cornell University’s School of Hotel Administration, where his flair for business was first discovered. In 2007, Feeney’s life story was finally told in The Billionaire Who Wasn’t: How Chuck Feeney Made and Gave Away a Fortune Without Anyone Knowing, written by Conor O’Clery.